Complete your kitchen with a striking splashback that is as attractive as it is practical. This black glass splashback measures 750mm x 600mm x 6m and is constructed from toughened glass, ensuring it is incredibly durable. Scratch resistant and capable of withstanding temperatures of up to 700°C, this black splashback will look just as good as the day it was fitted for years to come. This black glass splashback is a true colour thanks to Optiwhite™ glass which prevents the appearance of a green sheen. The perfect alternative to tiling, this black splashback can also be used between wall and base units for a sleek, contemporary look in any kitchen. Easy to clean, all that is required is a wipe with a soft cloth and some warm soapy water. 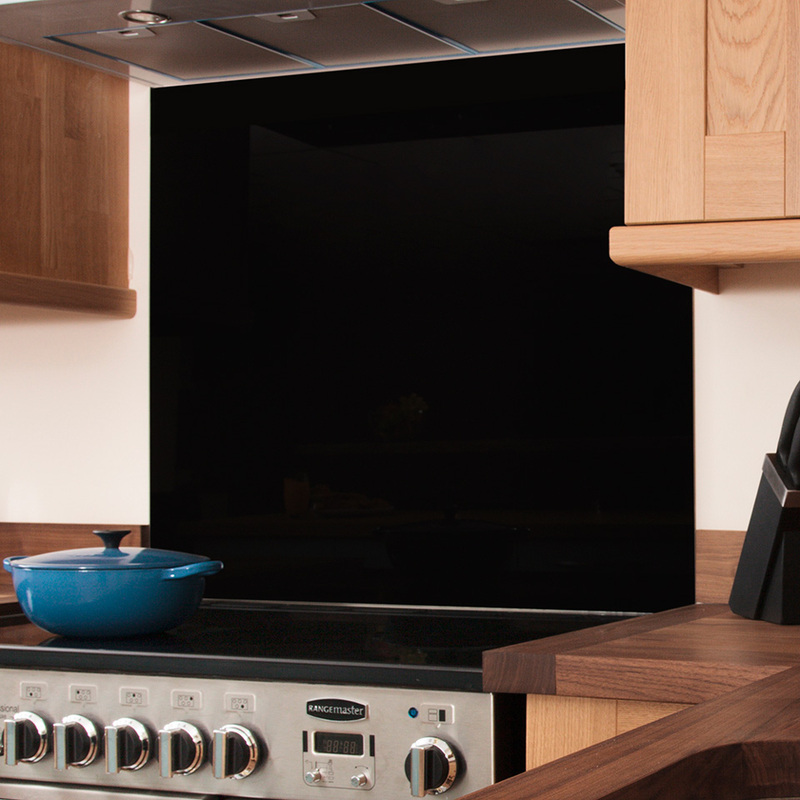 Our black glass splashbacks are held in stock so that we can deliver as quickly as possible.